The Belgaum Diocese was erected on September 19, 1953 by the Papal Bull "Summa illa Sollicitudo" of Pope Pius XII. 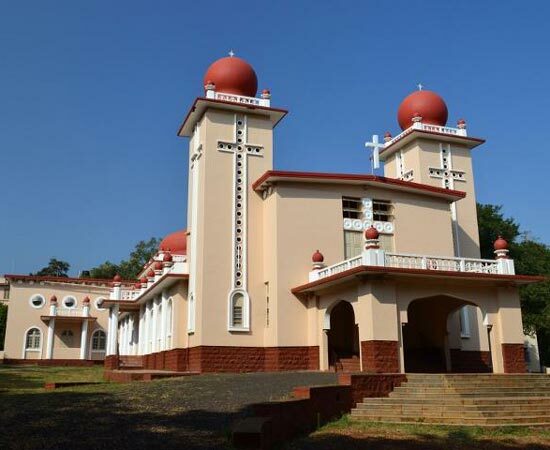 Two civil districts of Belgaum and North Kanara were separated from the Archdiocese of Goa and two other civil districts of Dharwad and Bijapur were taken from the Diocese of Pune in forming the Diocese of Belgaum. The most Rev. Dr. Michael Rodrigues was appointed the first Bishop. By a the Papal Bull "Christi Missium" of Paul VI, the North Kanara District was separated from the Belgaum Diocese to form the Karwar Diocese on January 24, 1976. It now consists of the civil districts of Belgaum, Bijapur, Bagalkot, Dharwad, Gadag and Haveri in Karnataka State and the Chandgad taluka in Kolhapur District of Maharashtra State.